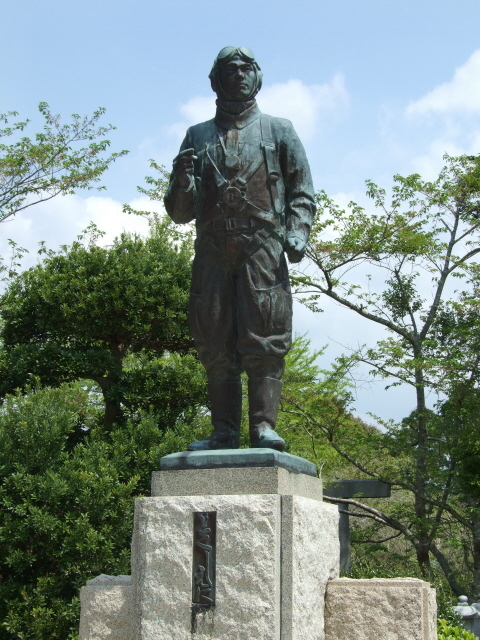 The premier memorial space in Japan devoted to those 'special attack groups' known as Kamikaze pilots. More background info: Chiran, located near the southernmost tip of Japan's southern mainland island of Kyushu, served as one of the training centres and bases from which Kamikaze missions were flown in the latter periods of WWII, esp. during the battle of Okinawa. In that strange typically Japanese way of jealous competition between Army and Navy, the Chiran museum focuses only on the Army's Kamikaze pilots and ignores the Navy's even greater involvement in that tragic strategy. Still, it is the most visited such place there is, and thus of the greatest importance, esp. for domestic Japanese tourism and school trips. 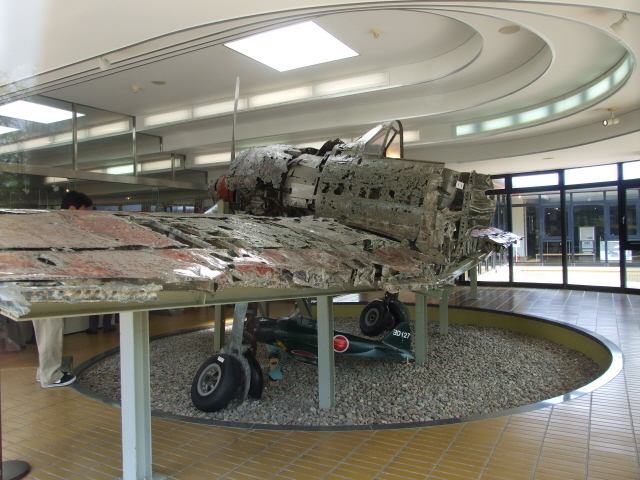 Well over half a million visitors are received by the museum annually, which officially carries the name "Peace Museum for Kamikaze Pilots". It was opened in 1975, enlarged in 1986 and further expanded technically in 2008 to accommodate foreign visitors, though still by far the majority of visitors are Japanese. Like other "peace museums" in Japan it stresses that its mission is to promote "eternal peace" and to "present true facts", to quote from the museum's English leaflet. How compatible these two aims are with each other, or how consistent with the actual glorification of the pilots' sacrificing their lives for the cause of a war that was basically already lost, is left rather open. However, unlike at the infamous Yushukan in Tokyo, the air at Chiran isn't so nationalistic and revisionist, the focus is rather on the pilots' individual personal stories, and in particular on their final words left in notes before taking off on their deadly missions. 1036 Kamikaze "heroes" are represented at Chiran, the alleged total number of army Kamikazes. The exact figure is somewhat contested, though – and of course it ignores the larger count of navy Kamikazes completely. 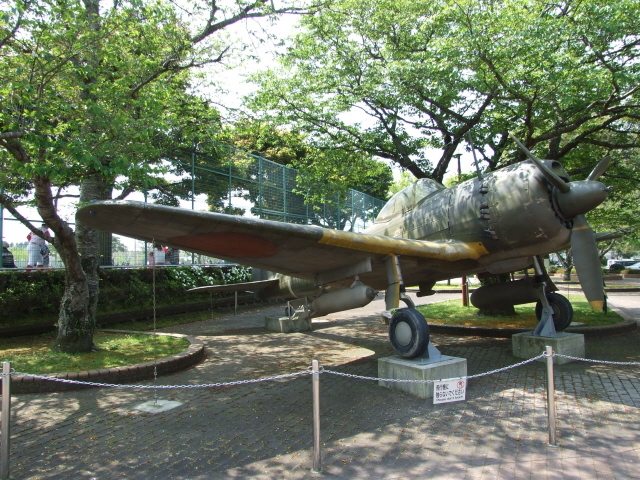 What there is to see: The outside parts of the complex (free access) include the central shrine to the Kamikaze pilots, a couple of old planes (or replicas thereof), some statues and a reconstructed barracks/sleeping quarters of the sort the pilots would have spent their last nights in before their deadly sorties. A downside of the museum from the point of view of a foreign visitor is the fat that labels and information panels are all in Japanese only. The only exception to this are the few interactive computer terminals, which offer English translations of a good proportion of the final letters, poems etc. There is also a book available at the entrance entitled "The Mind of the Kamikaze", which contains such translations, as well as a brief historical introduction and an overview of the museum. The English translation is clearly provided by a non-native speaker and often quite bemusing and/or puzzling. But overall the book manages to convey the content sufficiently. Without such aid, the museum remains a bit inaccessible to the non-Japanese visitor. But it's obvious that it is primarily aimed at the Japanese anyway – when I visited it was very busy, but there were no other Westerners in sight at all. The atmosphere in the museum is quite sombre, even despite the large numbers of visitors, and it is clear that the way the Kamikaze are revered in Japan involves a strange mixture of hero worship and pity. If you come her as an outside it is probably best to simply respect that attitude, keep your own thoughts to yourself and go along with the sombre behaviour code. Location: just over 20 miles (33 km) south of Kagoshima (see Sakurajima), the southernmost major city on Japan's southern mainland island of Kyushu. Access and costs: a bit tricky and troublesome to get to, but not too pricey. Details: If you don't have your own transport, then the best way of getting to Chiran is from Kagoshima by local bus. These depart from outside Kagoshima-Chuo train station from stand 16 (at least when I went in April 2009). They're not very frequently, e.g. 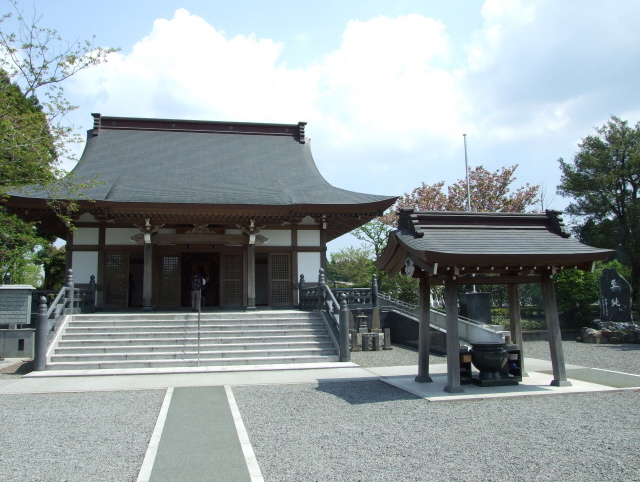 at 9:07 or 11:17 – check departure point and exact times beforehand, and arm yourself with a leaflet of the Chiran museum, available at Kagoshima tourist info spots and hotels. This has its name in Japanese written on it so you can show it to the bus driver when you board to confirm that it is the correct one. It's an uncomfortable 80 minutes' ride, and the fare is 930 Yen each way (in 2009), but it takes you through some pretty remote scenery. Make sure you check return bus times otherwise you might have a long wait in Chiran. 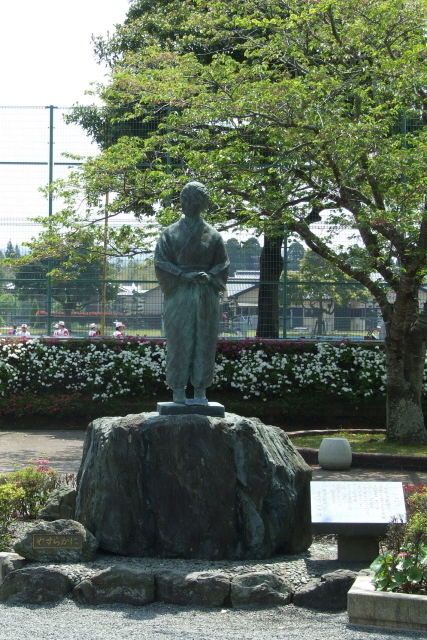 There are also tourist coach day trips from Kagoshima which include a short stop at the Kamikaze Museum, but also take in lots of other things that are possibly of much less interest to the dark tourist (such as old samurai houses). So it's probably better to do it independently. Admission to the museum's indoor exhibition is 500 Yen. For only an additional 500 Yen you can pick up the aforementioned English publication entitled (somewhat misleadingly) "The Mind of the Kamikaze", which is valuable to the foreigner in need of linguistic help, as labels and descriptive texts inside the museum are in Japanese only. The interactive computer system installed in 2008 also provides English translations of many of the farewell notes and poems left by the Kamikaze pilots. Otherwise, you have to rely on exhibits speaking for themselves. There are also little leaflets in English summarizing very briefly the museum's outline and contents. The alleged free 22-page English brochure I had read about was nowhere to be seen at the time of my visit (April 2009 – maybe they had just run out). Audio guides can also be obtained at the entrance. No photography is allowed inside the exhibition. The museum is wheelchair accessible, some of the outdoor parts of the complex less so (esp. 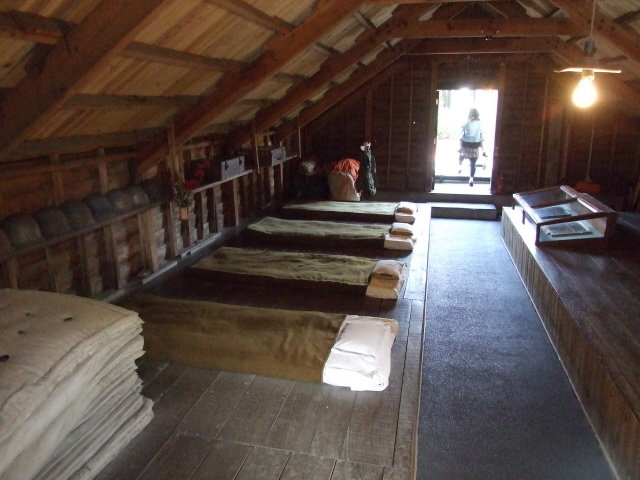 the reconstructed pilots' accommodation). Time required: depends: if you're prepared to work your way through all the many pages on the interactive computer terminals, then you could spend quite some time here. If, however, you're happy to make do with the brochure and book to take home to read afterwards, then the museum as such can be covered in as little as 30 minutes, plus some extra time for the outdoor exhibits, the shrine and statues. Maybe one hour in total. Admittedly, this feels disproportionately short in relation to the lengthy journey it takes to get here. So, do think carefully before embarking on it: you really have to have a special interest in the particular topic of the Kamikaze missions for it to be a must-do. Otherwise, for the more casual dark tourist, the effort it takes to get here may really not be quite worth it. 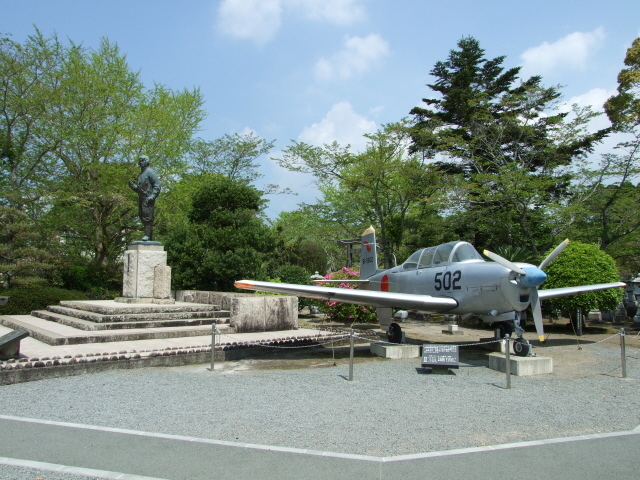 Combinations with other dark destinations: Also in the town of Chiran, is another Kamikaze-related museum called "Hotaru". The name translates as 'firefly' – after a myth according to which one Kamikaze pilot returned as a firefly, as promised by him the night before his mission, a myth which also inspired a 2001 Japanese movie of the same name. 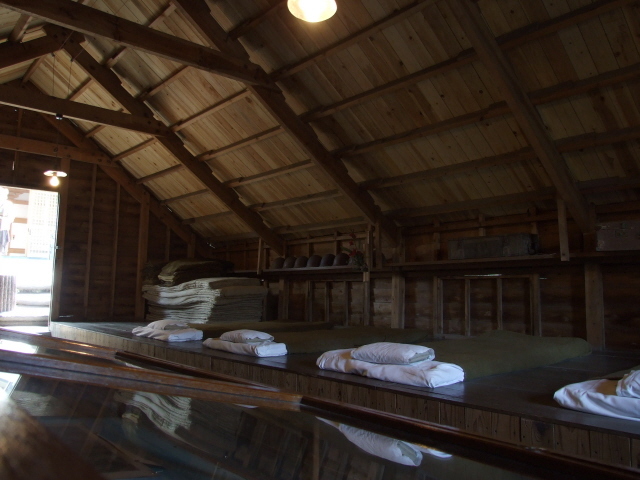 The Hotaru museum is smaller than the Peace Museum, and instead of military aspects focuses much more on the personal stories behind the Kamikaze pilots – and that of the person who served them here in what used to be a restaurant. The museum is entirely in Japanese only, and thus only really worth a visit if you have a decent grasp of the language (open 9 a.m. to 5 p.m.). Further afield: since most people will make their way to Chiran from Kagoshima, it's only natural to recommend a visit to that city's own dark-ish attraction: the Sakurajima volcano. Another, even more worthwhile volcano visit can be combined with this on longer trips, namely the Nakdake crater of Mt Aso east of Kumamoto (a town en route to Kagoshima). Related to volcanism are also the many hot spring resorts of the area, of which the most famous, Beppu, offers some with evocative names that have a dark ring to them too, such as "boiling hells". Last but by no means least: also on Japan's southern mainland island is one the world's top dark tourism destinations, Nagasaki with its Peace Park and Atomic Bomb Museum, which itself perfectly complements a visit to Hiroshima on Honshu. Excellent train connections make this combination quite easy. Combinations with non-dark destinations: Kyushu is a beautiful, subtropical part of Japan and worth a visit in its own right. However, it's slightly off the main foreigners' travel routes and not knowing any Japanese can be a somewhat greater hindrance/complication here. Still, it's doable and recommendable. Kyushu has some of Japan's best areas for those interested in hot springs too, with Beppu on Kyushu's eastern coast (beyond the Aso caldera) being the most popular.